Like the beat of the metronome, your schedule is racing along. That's why forzandoArts always gives you Amazing Support, with a promise to give you the most reliable answers and prompt resolutions when problems arise. But you're really busy and your mission is critical. We hear you! 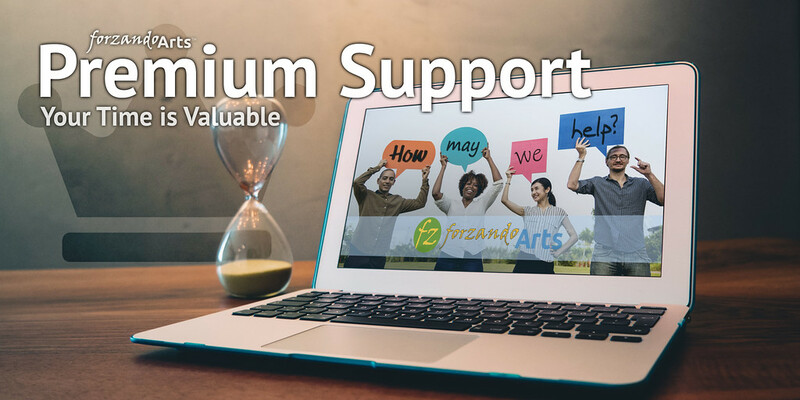 That's why we offer forzandoArts Premium Support, which gets you even faster answers to your tickets. When you subscribe to Premium Support for just $9.99 per month for our hosting or digital services, including SmugHug photo sharing, your support tickets and service requests will skip to the front of the line. Better yet, one Premium Support subscription covers all of your services.